Equipped with the latest ultra-high-quality ES9038PRO DAC of the ESS SABRE PRO series, the PLENUE L delivers the widest sound stage and realizes every minute detail to produce the ultimate in sound. 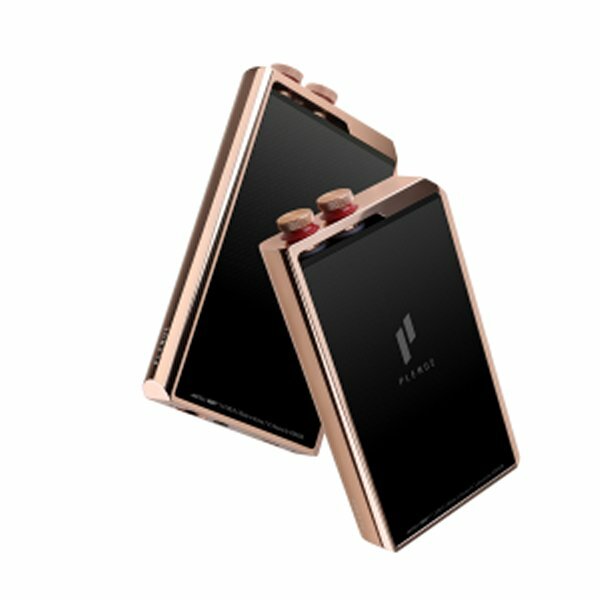 The PLENUE L comes to you with a sense of wonder, bringing with it 32-bit, 384 kHz high-resolution sound as well as beauty and ruggedness reminiscent of the brass section of a classical symphony orchestra. As the flagship product of ESS Technology, the ES9038PRO DAC boasts the highest level of performance in the SABRE PRO series of DACs. Unlike other DACs designed specifically for mobile devices, the ES9038PRO is a high-performance DAC meeting the latest in SABRE PRO specifications and targeted toward professional recording studios, premium home theaters, and audio enthusiasts. It vividly reproduces sound closest to the original source, including 32-bit, 384 kHz lossless/uncompressed and native DSD256 and DXD sources. The ES9038PRO DAC incorporates the latest 32-bit HyperStream® II technology from ESS, delivering the best dynamic range in the industry and a highly-pure sound by realizing an extremely-low THD+N value even at low-amplitude signals. An 8-channel internal quad-DAC separates the eight channels for precise sound control, and each channel is converted via the four internal DACs to deliver a clear, noise-canceled signal so that you can enjoy a perfect sound close to the original source. The 4.4-mm balanced output, the new standard in high-fidelity audio, supports richer output than the conventional 3.5-mm unbalanced output. Greater left-right channel separation prevents crosstalk between left and right audio signals to deliver a very clear, realistic sound without distortion or loss. Balanced output effectively blocks noise generated when signals are transmitted by adding 'out of phase' signals to unbalanced output signals. Since it transmits two types of signals simultaneously, the PLENUE L strengthens the output signal for clearer and crisper reproduction of original sound. The PLENUE L uses 4.4-mm balanced output to reproduce crisp original sounds. The PLENUE L offers high PSRR((Power Supply Rejection Ratio) performance and very low noise via an ultra-low-noise LDO(Ultra-Low Noise Low DropOut Regulator) power circuit designed for high-performance audio systems. We developed an optimized digital path circuit that supports 32-bit, 384 kHz sound sources and equipped the PLENUE L with an independent CPLD(Complex Programmable Logic Device), which supports fast operations and minimizes noise by optimizing bus and group unit digital signal processing. The amazing specifications of the PLENUE L include SNR 128dB, THD+N 0.0004%, Stereo Crosstalk -144dB, and Balanced Output 4.05Vrms which are the result of our decades of audio experience and passion for perfection. The PLENUE L was created through our relentless effort to deliver perfect sound quality to listeners anytime and anywhere. DSD(Direct Stream Digital) is a high quality Super Audio CD format that processes signals at 2.8224MHz per bit. The technology carries the maximum sound information possible to reproduce the delicate and crisp sound of analog. To realize the best possible sound quality, the PLENUE L reproduces DSD in Native method without PCM conversion and supports DSD256(Quad rate DSD), the highest frequency among all DSD formats. 44.1kHz and 48kHz sound sources, staples in the music industry, are adjusted most accurately via dual ultra-precise temperature-compensated crystal oscillator (TCXO) clocks with 1.0ps of phase jitter to reproduce the most accurate sounds. 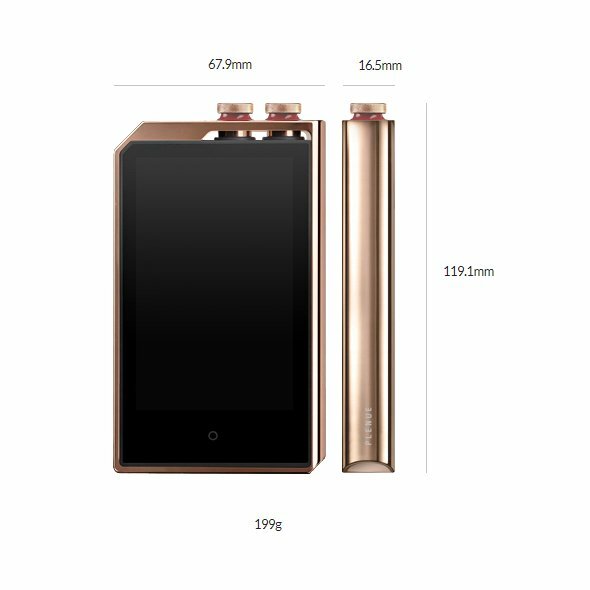 High-resolution sound is perfectly and finely reproduced in every circumstance thanks to stable, error-free operation even when exposed to thermal extremes caused by prolonged device operation or temperature and voltage fluctuations in the surrounding environment. To make your listening experience more comfortable and convenient, PLENUE L had to be smarter. Some songs' volume is too high or low. The PLENUE L's AI function handles these situations with ease. AI Volume continuously normalizes volume levels of sound files played more than once. You no longer have to adjust the volume of each of your songs. AI shuffle conveniently changes the playback order of songs. It even analyzes and arranges playlist positions according to your preferences. With AI JetEffect function, Cowon's sound field technology "JetEffect" automatically matches presets that are best suited to each source file. PLENUE L's AI functions automatically adjust the settings so your favorite tunes are played exactly the way you like them. The PLENUE L provides a wider variety of digital filters than ever before for fine-tuning the ES9038PRO DAC. Extreme micro-tuning is possible via seven DAC filters (Fast Roll-Off, Linear Phase Filter I Slow Roll-Off, Linear Phase Filter I Apodizing, Fast Roll-Off, Linear Phase Filter I Fast Roll-Off, Minimum Phase Filter I Slow Roll-Off, Minimum Phase Filter I Hybrid, Fast Roll-Off, Minimum Phase Filter I Brickwall Filter) for realizing transient signal responses in the time domain. This empowers listeners to tune sounds previously beyond the limits of hearing even with identical sound sources. Speakers, headphones, and earphones tend to delay the high-frequency band more than the low-frequency band, even in original sound sources. When facing these phenomena, JetEffect 7 and BBE+ compensate the physical phase to reproduce vivid original sounds like a live performance and provide optimal HD sound via sophisticated methods and controls. The PLENUE L supports a variety of audio formats, from 32-bit, 384 kHz lossless/uncompressed AIFF to lossless/compressed formats such as FLAC, ALAC, and APE, as well as other popular formats including WAV, MP3, WMA, and OGG. Also, the device supports DXD(352.8/384kHz) and Native DSD256(11.2MHz) format to offer wide range of high quality sound formats. The PLENUE L boasts a hybrid metal alloy body reinforced with high-strength materials and heat treatment that is precision-machined via CNC. 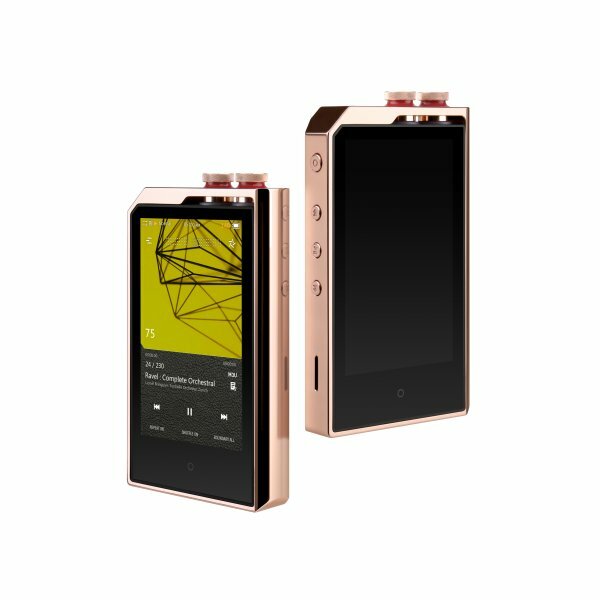 Its high-gloss finish, a visualization of the magnificent sound of brass instruments, is realized through experts in special micro-polishing (buffing) and anodizing to match the high sound quality with equally premium materials.